Roper Stoots, D.A.R.E. Officer Tonya McWhirter, STEM Teacher Kristi Jernigan, and Christopher DeShawn Rush. Rush and Stoots were recognized for their award-winning App. It was a packed house at Louisville Elementary today for the annual D.A.R.E. Program as 282 fifth graders from all county schools participated in this year’s program. The ceremony was opened with a presentation of colors by JROTC from Louisville High and the Pledge of Allegiance led by D.A.R.E. officer Tonya McWhirter. The National Anthem was performed by Winston Academy student Chandler Wells and the welcome was given by Tayshaun Doss, a D.A.R.E. student. The D.A.R.E. program has been a long term effort across the community and has been led in recent years by LPD Sargeant Tonya McWhirter. In 2016, the Mississippi Dare Officers Association recognized McWhirter as the Dare Officer of the Year for the State of Mississippi. In addition to D.A.R.E. graduates, two Louisville students, Roper Stoots, 10th grader, and Christopher Deshawn Rush, 9th grader, were recognized as winners of the Congressional App Challenge for Mississippi’s 1st congressional district. STEM teacher, Kristi Jernigan, led classes in several coding lessons and presented the opportunity for her students to apply for The Congressional App Challenge, a public effort to encourage kids to learn how to code, through annual district-wide competitions hosted by Members of Congress for their district. Stoots’ and Rush’s topic was D.A.R.E. 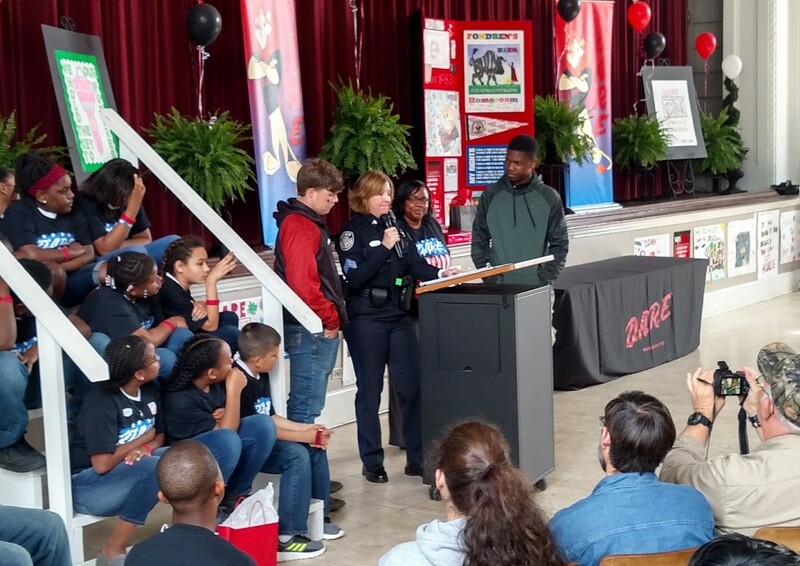 Mississippi and the title Drug Free for an app designed for Mississippi 5th graders taking part in the D.A.R.E. education program. They are now eligible to participate in the House of Representatives #HouseOfCode event held in Washington DC on April 12 and 13 to showcase their winning app and get recognized for their achievement. 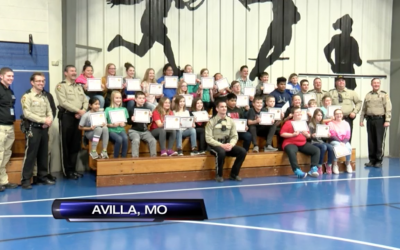 Mayor Will Hill remarked on the continued role of the program in the community and thanked local law enforcement for their work with D.A.R.E. Police Chief L. M. Claiborne introduced the guest speaker for the event, Jae McIntosh who is a professional fighter and owner of No Limit Jiu Jitsu in Starkville. Students and classrooms were recognized as essay winners, star students, students of the year and graffiti winners. A slide show of photos of the event can be viewed by clicking here and the award winners are provided below.